A report published in American Journal of Neuroradiology (AJNR) discusses how cognitive decline can be identified early and prevented by applying quantitative brain imaging techniques. 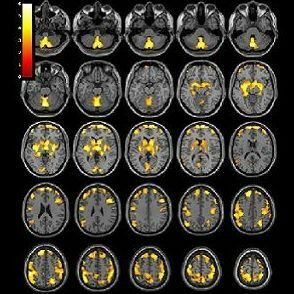 Amidst growing evidence that neurodegenerative diseases alter brain structures, use of quantitative brain imaging is gaining popularity among clinicians as this helps them to measure and manage cognitive declines in patients. These imaging findings, according to the AJNR report, can help spur beneficial lifestyle changes in patients to reduce risk for Alzheimer's disease. 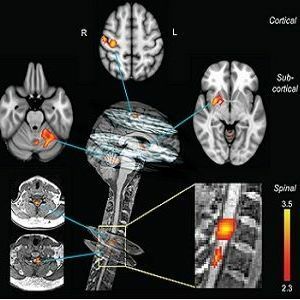 Author Cyrus Raji, MD, PhD, of UCLA and an international team suggest a framework in which neuroradiologists work as part of a team of clinical neuroscientists (neurologists, psychiatrists, neuropsychologists, etc.) to use quantitative neuroradiology to prevent cognitive decline in populations at high risk for dementia — namely those with lifestyle, genetic, and other associated risk factors. "I believe neuroradiology, and especially quantitative MRI technology, will have a huge impact in the future of diagnosis and treatment of Alzheimer's disease," says neurologist Majid Fotuhi, MD, PhD, of Johns Hopkins University. Dr. Fotuhi notes that "there is compelling evidence for the baseline size of hippocampus as a key determinant of risk for future cognitive decline," adding that a variety of lifestyle factors can cause atrophy or expansion in the volume of this "critical brain structure". Such work is already being done at UCLA and other institutions that combine these approaches into novel ways to improve patient care. "We are working closely with neuroradiologists to redefine how we can reduce risk for Alzheimer's with quantitative neuroimaging that helps us pinpoint symptom-relevant volume loss in the brain and subsequent targets for tracking our lifestyle-based interventions," says Dr. David Merrill, a geriatric psychiatrist at UCLA Medical Center. Dr. Fotuhi sees imaging findings as a unique motivator for patients to make positive lifestyle changes. "Patients seem to enjoy reviewing results of their imaging studies, more so than reading the results of their blood tests or other clinical evaluations. For example, they can see with their own eyes whether there are any strokes or atrophy in their brain. This can have a powerful impact on them and on their determination to make changes in their lifestyle in order to improve their brain health," he explains. 1 Sperling RA, Aisen PS, Beckett LA, et al. (2011) Toward defining the preclinical stages of Alzheimer's disease: Recommendations from the National Institute on Aging-Alzheimer's Association workgroups on diagnostic guidelines for Alzheimer's disease. Alzheimer's & dementia: The Journal of the Alzheimer's Association. 2011;7(3):280-292. doi:10.1016/j.jalz.2011.03.003. 2 Barnes DE, Yaffe K (2011) The projected effect of risk factor reduction on Alzheimer's disease prevalence. 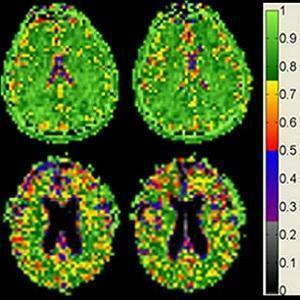 Lancet Neurol 10, 819-828.
healthmanagement, brain, neuroimaging, Alzheimer's disease, cognitive decline, lifestyle A report published in American Journal of Neuroradiology (AJNR) discusses how cognitive decline can be identified early and prevented by applying quantitative brain imaging techniques.